If not just put the Text into your post and send me the photos and I can ad them to your post for you. 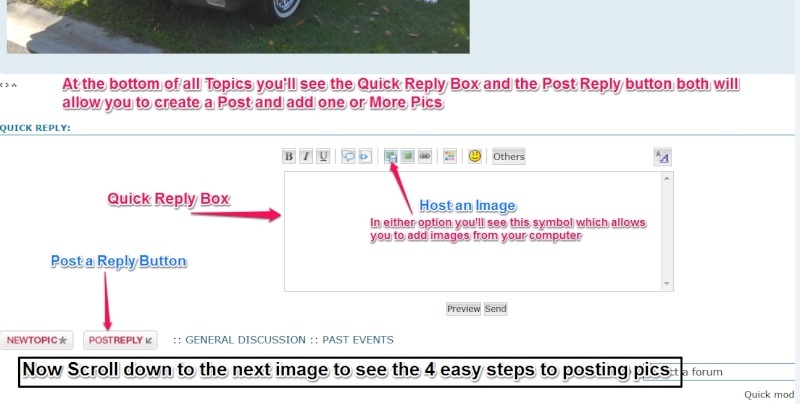 2nd you will need to have a Photo hosting account with say Photobucket this is a good option if you want to post a large number of images, You can do a mass upload to your account and then put a link on here, when a member here clicks your link he can see all the Images. 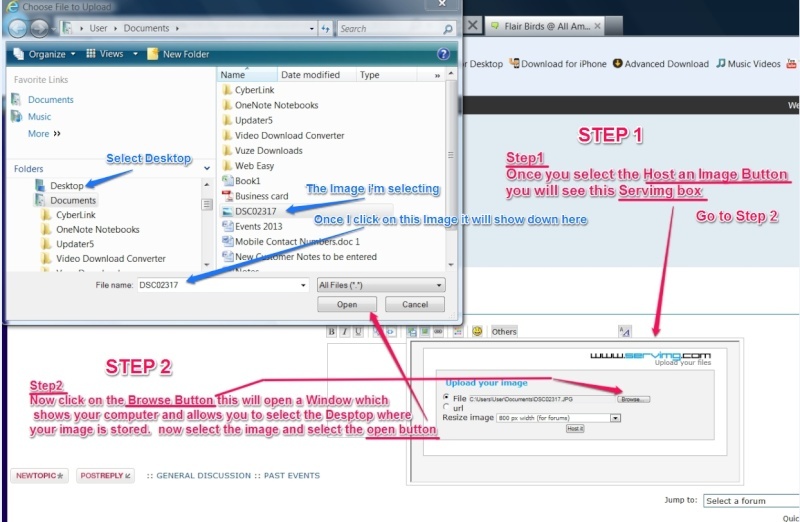 I've put together 4 x Steps on how to host images on Servimg below, The Text in RED Steps 1 thru 4 are to explain how to do it, The Blue Text is just to explain each move and what each thing is. If you have problems with this or think the Steps need changing or Clarifying let me know. thank you for your diagrams on how to post photos it was a great help. I could not get the first one to work but the second one worked great. All I have to work out now is how to get the profile to work. I have entered John's info 3 times but cant get it to stay there, any suggestions? Regards the Profile are you selecting the SAVE button at each stage. So if you enter a Signature, when you're happy scroll down and hit the SAVE button, that should work. » Post pics of your forum swag here!